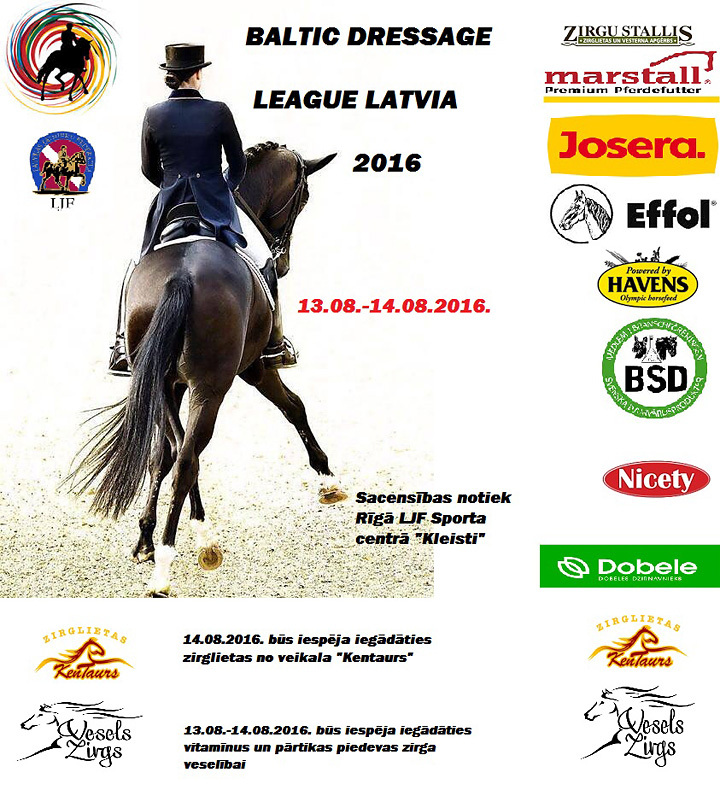 According to Baltic Dressage League General Rules, NF Rules of Latvia and FEI Dressage Rules. Classes can be entered and prizes can be won by riders from any nationality, but BDL points can be collected from BDL classes by Riders from Estonia, Latvia and Lithuania, as BDL competitions are organized in those countries. In exceptional weather conditions ,the competition may be held indoors. Please note that for LAT, LTU, EST etc. riders stalls will booked automatically by the masterlist. If you need to cancel your entry , please let us know ASAP to cancel the stalls as well. Whip is not allowed whilst competing, (only during warm up). OC will not be responsible for any physical loss or damage (accident, injury, theft, illness et.) that happen either as a direct result of actions of horses, athletesand/or their representatives , horse owners, grooms, parents, spectators or third parties or due to other unforeseen circumstances at the competition grounds , before, during or after the competitions.